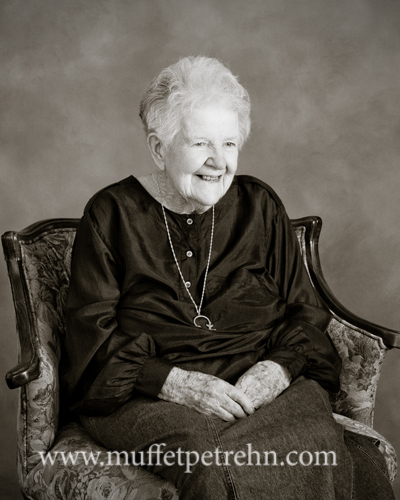 Today I found out that one of my clients “ Grandma “ passed away 8 days before she was to have her 99th birthday. 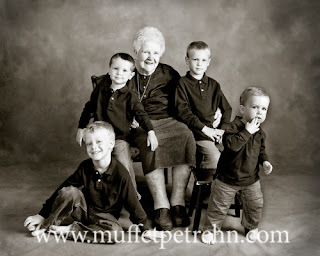 She was a very special lady and she adored her family. 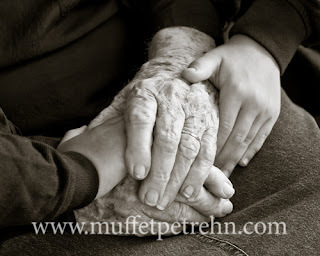 It blessed me so much to get to know her and photograph her and her family. She reminded me a lot in spirit of my Grandmother. 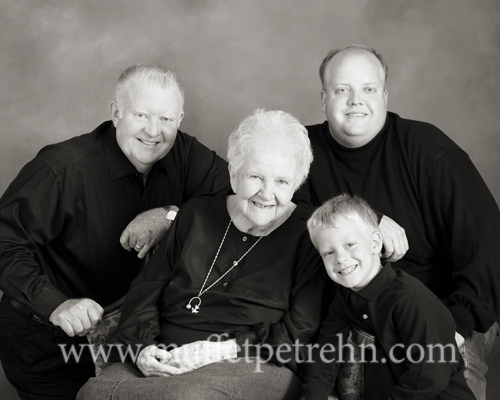 I was told that she was not feeling well at all that day and yet she put her all into the photo session. After the session I caught my self tearing up while working on the images that I had captured of her because I was reminded of the pictures that I had not captured of my Grandmother. We had a time scheduled and were waiting for my brother and his family to come home from Switzerland where they were living. Three days before they arrived my Grandmother fell and broke her hip and died three weeks later. 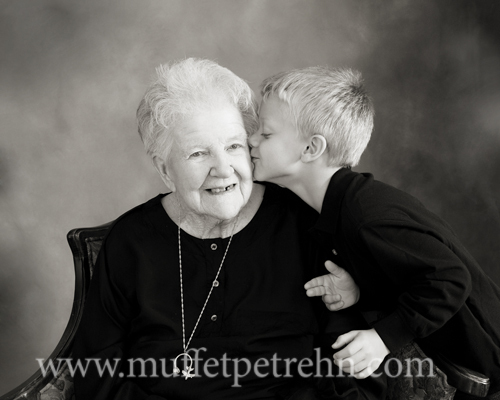 Oh how I wish that I had great portraits of my Grandmom interacting with her beloved grandkids and great grandkids. They would be priceless to me now! A photographer friend of mine once told me about one of his clients – a man who scheduled three different photography sessions, one with each of his grandchildren. 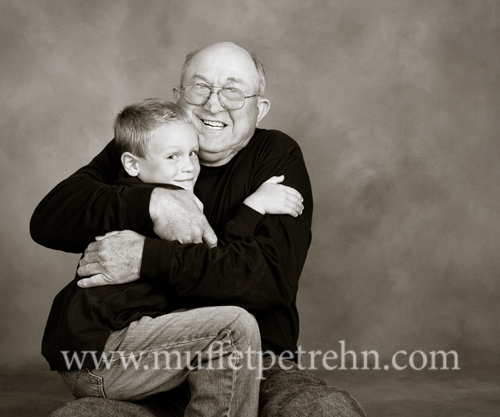 In each session he was photographed doing what he loved doing with each child. With one he was reading a book while she sat in his lap. With another, tying a fishing lure on a pole because they loved to fish together. With the third he smoked his pipe while the little one watched the smoke. The man chose his images and had each one mounted on gator board. When he came to the studio to pick up his images he asked to use a room where he spent more than an hour writing a letter on the back of each image to the child that was in the print. He told each one how special they were to him and how much he loved them. Then the man had each image framed in a special frame – the image could be turned on a hinge to reveal the letter on the back. What an incredible gift to each of those kids! The passing of “Grandma” makes me realize again the importance of what I do and the wonderful gift that I can create for people. 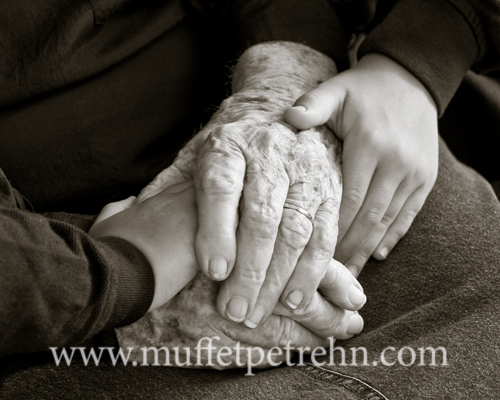 A portrait of a loved one only becomes more priceless with age!